Use of computed tomography (CT) has increased considerably all over the world. In addition, there has been an increased demand for utilisation of CT scanning in Iran over the past decade, especially after introducing multi-detector computed tomography (MDCT). It should be considered that making a mistake in the selection of scan parameters leads to patients receiving higher doses and having increased risk of cancer. All of these facts prompted us to compare six routine CT protocols in three hospitals in the city of Shiraz, and to compare the results with American College of Radiology (ACR) practice parameters and European Commission (EC) guidelines for dual- and multi-detector CT. In the studied hospitals, 10 adult patients were chosen randomly for every six protocols, taken by different technologists. Seven and 11 scan factors in sequential and spiral scans, respectively, were compared with ACR (2014) and EC guidelines (EC16262 & EC2004). The majority of scan factors in sequential and the spiral protocols that were scrutinised met the guidelines. The CTDIvol and DLPs for sequential and spiral scans were lower than the dose reference level (DRL) pronounced by ACR in three CT departments, and they were compatible with the recommended dose by EC (16262) in a private hospital. Based on accordance of CTDIvol with ACR measurements and incompatibility with EC (2004) in teaching hospitals, we concluded that the recorded doses should be compared with different criteria. 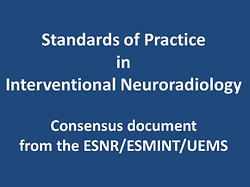 A regular review of protocols, using special protocols for different pathologic circumstances and continual education for technologists in the three CT departments, are recommended.